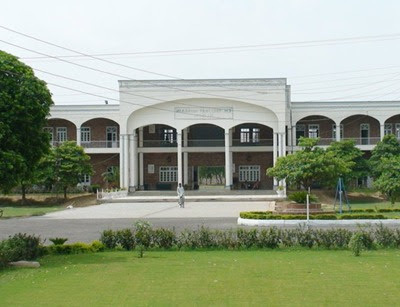 Jinnah Public School is one of the best Government Schools in district Gujrat. It offered admissions in Nursery to Matric Class and “O” Level. It has separate Girls and Boys Blocks. JPS is equipped with state of the art Library, Multimedia Lab, Science and Computer Labs. Pick and Drop facility is also provided to students from designated points. Religious education, extra curricular activities, character and confidence building is also emphasized along with regular education at Jinnah Public School. Free education is offered to position holders and scholarships are offered for students who achieve more than 85% marks in Board Examination. I read in &th Red.I like your school. Just saw it today. I was impressed. i am also the student of o levels here.its just an amazing school i have not found in my life. and we all students are proud tobe Jinnates. Our son Omar Yaqoob is studing JPS in 8th class I;m suer this school is one of the best school of the world. And we are proud parents. This is an awesome school. I,m reading in it,in O level. any body know who is principal of jps?anu how many male and female teachers?